Weddings are my specialty and your Wedding Ceremony will be a celebration of you and your partner. It is about your love and commitment to each other and that very special bond you share together. Ideally, it will be a reflection of your personalities, values and dreams for your future and demonstrate the love and commitment between you as a couple. It will reflect the importance of the occasion, combined with a lightness of heart, sense of fun and genuine sincerity. A dedicated, experienced and professional Perth Marriage Celebrant, I’ll work with you to fulfill your dreams and design a ceremony that will create lasting memories for yourselves, family and guests that will set the scene for the remainder of the day/evening to be everything you’ve always wished for. Let’s start planning your ceremony today! Modern, meaningful and magnificent ceremonies delivered with love and sincerity. Large and Lavish / Small and Simple / or Legals only – whatever your choice, I will design a modern and personalised ceremony that will leave you will lasting memories. The time has come to tick the “Wedding Celebrant” box!. I’d be honoured to chat with you about your hopes and dreams for your forthcoming wedding and set up a time to meet. An experienced and professional Perth Marriage Celebrant who specialises in Weddings because it’s an honour and pleasure to meet and work with people, like yourselves, who are about to experience the “most exciting” day of their lives. Having a creative writing and events management background, my role is to work with you to fulfil your Wedding Day wishes by designing a ceremony that will be everything you’ve always dreamt of. It will reflect your own unique love story that you, your family and guests will look back on as an enchanting day of love, laughter, romance and maybe even a tear or two! Let me guide you through the legal process and relieve you of any stress by taking care of all the details that come to mind when planning a wedding and free you up to get on with the ‘fun stuff’. Want to know what my couples are saying about me? Read a few of my testimonials! 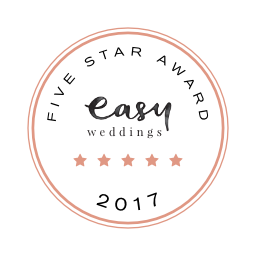 Professional and reliable guidance and advice throughout the entire marriage process from the time they pop ‘the question’ to your ‘twenty toed tango’ on your Wedding night. Let's start planning your ceremony! I feel blessed to have such an amazing wedding celebrant marry us. What a friendly calming lady. All the paperwork was organised for us so we didn’t have to worry about that. The paperwork we received after the ceremony is a great keepsake. Couldn’t recommend her more highly. Liz is absolutely wonderful! She made the day so easy going and light which is just what we wanted. She was always on hand to answer my questions, and the vows were made so much easier with her helpful suggestions. Liz was fantastic! She made our ceremony very personal and even helped me calm my nerves as I got out of the limo! Liz helped everything run smoothly and made us feel at ease. I would highly recommend her to anyone looking for a celebrant. Liz was brilliant. Even though we work FIFO Liz was great at fitting into our hectic life, and helping us come up with our perfect ceremony, even with short notice. Helped make our day so special. Liz wrote the most beautiful words for our ceremony – and it was very personal, short and sweet which is exactly what we wanted. She is an amazing Marriage Celebrant who assists you any way she can – so grateful that I chose Liz, thank you! Liz was wondeful, we didn’t have to worry about anything. From when we first started talking to Liz she always got back to us straight away. Very professional, we did a run through a few days before and Liz made us feel very relaxed. Would highly reccommend! Fantastic! She was really well presented, understood our styled and what kind of ceremony we wanted. She was kind, friendly and made the day really special. Liz was 100% the right celebrant for us. She was so genuine and calm and really helped the whole thing to go more smoothly. She definitely knew what she was doing and it was nice to have someone so competent taking care of things. Liz, we loved working with you, thank you so much!